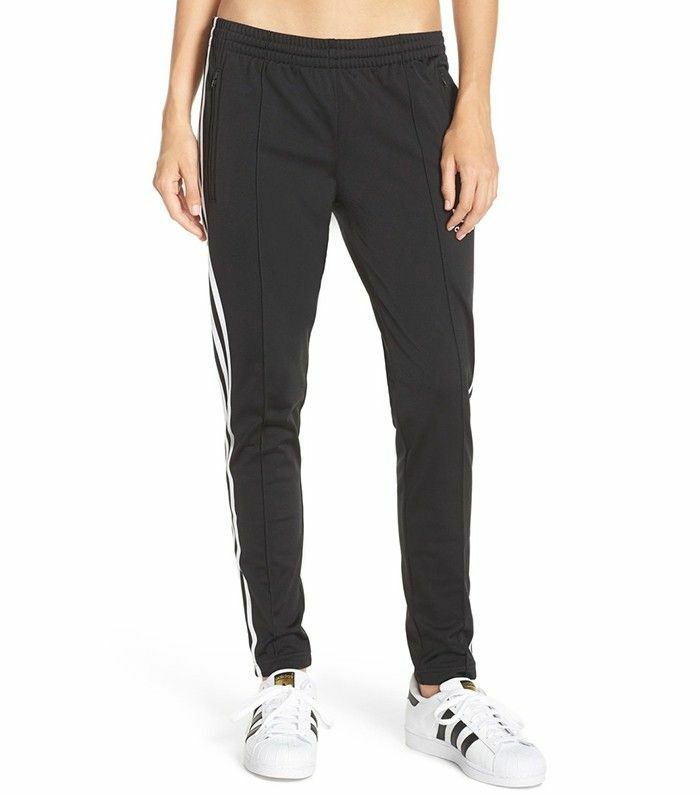 Who would have thought in 2016 that a quick search for "track pants" on Net-a-Porter, the world's leading luxury e-tailer, would bring up 92 results. What makes it even more interesting is that despite a general rise in the market for athletic-wear, most of these results are not from strictly athletic-wear brands. That's right. While the Adidas Supergirl track pants you saw in the opening image of this story are as cool as ever in our eyes, it's not just Adidas making the style anymore. Should you be interested, you can pick up a pair by Chloé, Sonia Rykiel, Zara, or even a newly revived Juicy Couture. So, if you're over your leggings by now, or simply want a new pant style that can be dressed up or down with ease, shop our picks below! This luxe pair is an investment you'll truly enjoy. Silky material gives this pair a luxe feel. These slim sweats are a welcome update to the Juicy pants of our pasts. Wear these with heels and a simple t-shirt for a night out. This Olsen-approved pair works for everything from lounging to heading to the office. Elongating side stripes are always a nice added detail. This season, everything is better in velvet. We love this cool update to Adidas' original look. Who doesn't love a statement pant? If you're planning to reserve your track pants for off-duty only, this pair is for you. Want more shopping? We've got you covered.